Lonza Wood Protection South Africa has installed and commissioned the first TANALITH wood preservative treatment plant along the Kenyan coast, which will pave the way for Komaza to build a portfolio of high value wood products from its farmer-grown timber, and open doors to new local and global export markets. 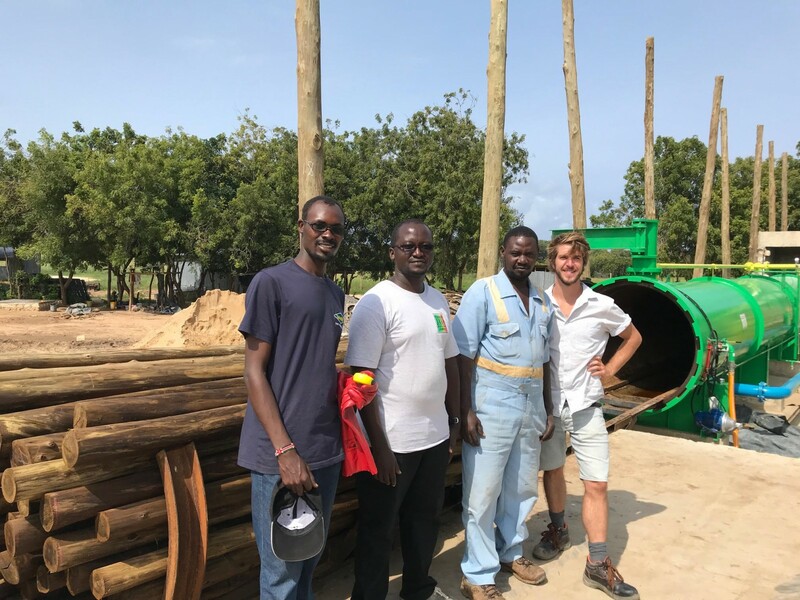 Komaza is the brainchild of Tevis Howard, who in his position as Founder and CEO, has invested the past 10 years into unlocking the potential of small-scale farmers with the vision of solving Africa’s wood supply crisis. With booming populations and accelerating economies, more wood is being consumed than what is grown. Wood prices are climbing, surging deforestation is an environmental concern and with land becoming scarce, expansion of large plantation forestry cannot keep up. Howard believes that collectively small farmers in Kenya have the land and labour resources to plant billions of trees and has therefore invested in supporting these farmers across the forestry value chain, from seedlings to sawmills. Two-million trees have already been planted with nearly fourteen-thousand farmers, making Komaza Kenya’s largest commercial tree planter. Up until now, Komaza has bought the timber from the farmers and marketed it as untreated material. 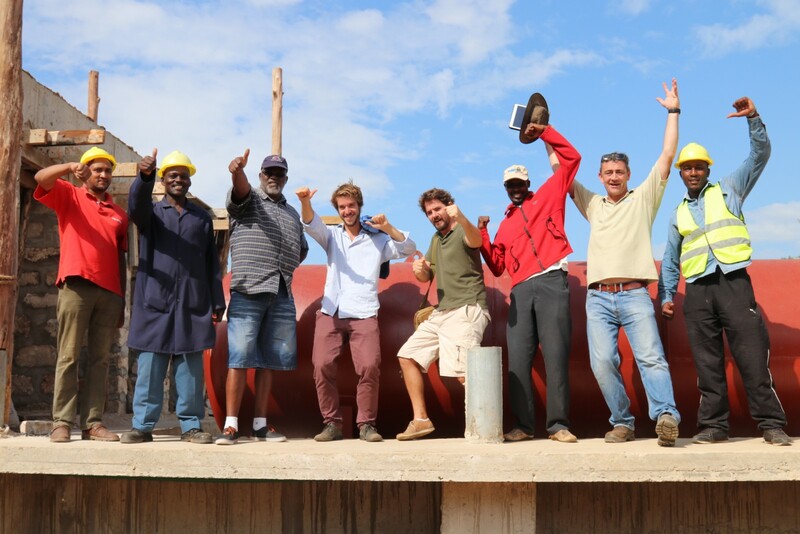 But this is set to change with the commissioning of the first TANALITH C treatment plant in August at Komaza’s head office in the small coastal town of Kilifi, approximately 60km north of Mombasa. After evaluating various options when procuring the treatment plant, Howard explains why they chose Lonza: “TANALITH preservative is a well-known brand associated with quality and therefore we felt it would be advantageous for Komaza to show its customers that it treats its wood with a respected product by a globally recognized manufacturer of wood preservatives”. This development marks the first phase to serving industrial wood markets. Furthermore, it delivers on Komaza’s promise to the farmers and community to develop the processing side of the business with the vision of developing a sawn timber market that will service other parts of Kenya as well. Currently, the Kenyan coast is virtually an untreated market where the use of mangrove trees and sisal are common. However, mangrove timber is not sustainable and sisal, while used for constructing Makuti roofs (a kind of thatch), is not a strong timber and needs to be replaced approximately every five years. To combat the problem, Komaza plants two carefully selected species that are best suited to the high-risk environmental conditions of the Kenyan coast – Eucalyptus grandis X camaldulensis and Melia volkensii. These yield a variety of valuable wood products such as building poles, fence posts, roofing rafters, high-end furniture and housing fixtures. Matteo Contardo, the Komaza Project Manager who managed the programme from initial design and research through to implementation, felt that in addition to its easy-to-learn operational characteristics, Tanalith® C wood preservative made perfect sense for them given the strong match with supply and demand trends. “Boosting the lifetime of a pole up to 10 times with TANALITH C wood preservative, will make Komaza a leader in supplying quality long-life products. Moreover, as a company deeply committed to sustainability, we believe in delivering durable products, thereby maximizing the value of the natural resources we grow,” said Contardo. Howard commended Lonza on their technical support and high-level intelligence on the wood market saying, “Lonza not only provided a plant and the chemical to run it, but also a solid relationship to help our company grow and increase our market shares. Their full scope of support, beyond simply acting as a supplier, is very valuable to early-stage growing companies like Komaza. As a young player entering an established and complex industry like forestry, Lonza’s help is very valuable and we are grateful to have partnered with them”. “Lonza shares Komaza’s vision to solving the wood crisis in Africa and ensuring that wood remains the product of choice, while simultaneously supporting the local communities. We are very excited to be a part of this venture by being able to add value to the treatment and processing side of Komaza’s business and we look forward to fostering this relationship by building strong confidence in TANALISED Timber” concluded JJ du Plessis, Senior Business Manager of Lonza South Africa.